The response has been overwhelming—“almost like a runaway train,” she added. All Saints’ and St. Luke’s Anglican parishes offered to provide the mosque’s members with worship, meeting and educational facilities. “A couple of other Anglican churches also offered space, but All Saints’ is more centrally located,” said Master. “It is possible that we may use the All Saints’ space offer once we know our space needs,” said Dr. Kenzu Abdella, president of the Kawartha Muslim Religious Association (KMRA) and chair of Trent University’s department of mathematics. According to the Peterborough Examiner, Abdella is also meeting with the president of Beth Israel Jewish congregation to discuss sharing its synagogue until the mosque repairs are completed. The mosque purchased the former Christian church in 2001. “The community has responded very admirably to declare its opposition to this act,” said Nicholls, area bishop for Trent-Durham and suffragan bishop of Toronto. 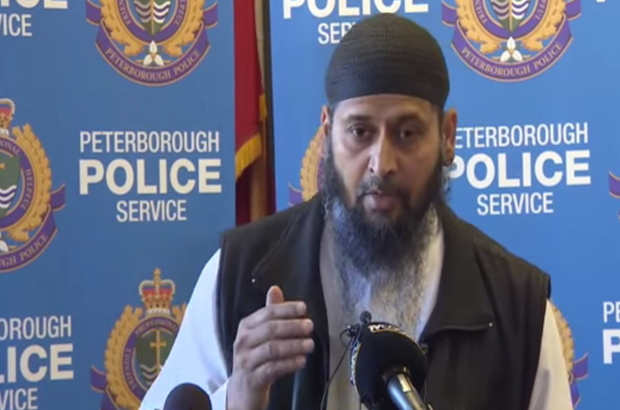 She drove to Peterborough and personally delivered a letter of support and condolence to the mosque. Apart from any deanery-matched funds forwarded through congregations, St. John the Evangelist Anglican Church is serving as a receiving centre for donations from individuals wishing to help restore the heavily smoke-damaged mosque at an estimated cost of $80,000–$100,000. “Some of the envelopes are sealed, but the open donations amount to about $2,000 so far,” said Archdeacon Bradley Smith, the new rector at St. John’s. According to the Peterborough Examiner, as of the evening of November 16, the restoration fund, which was rapidly amplified by online crowd funding via the FundRazr site, was halted at the KMRA’s request, as it had already topped the target amount with donations of $110, 548 raised in 30 hours. The KMRA said it will donate any excess money after repairs to charity.